This is a Brown Velvet Gerbera Daisy that is 3.75 inches wide. 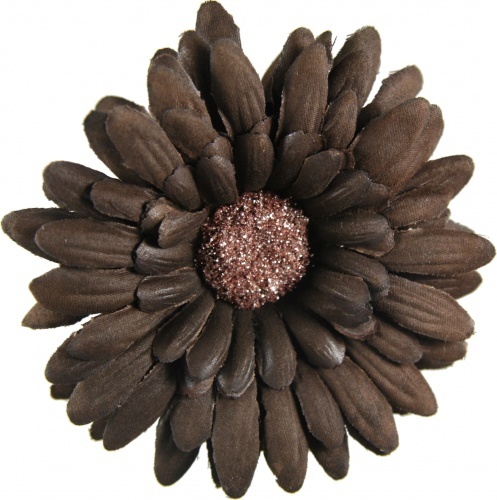 It is a nice dark chocolate brown and the center is pink-brown sparkles. It is attached to an alligator clip so it can be worn alone or put on top any of the brown headbands, beanie hats or bows. Brown also looks great on top of the pink and ivory colors too.